Hospitals (along with airports) were traditionally considered to be ‘non-spaces”, where their inhabitants are transient without social interaction or a sense of history. They are supposed to be places that people come and leave as soon as possible. However, in the ever-ageing population we might start to needing to see these hospitals in a different light, as final destinations rather than a momentary passing. 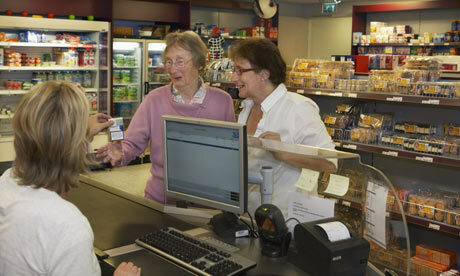 Dementia has increased a design of a ‘placebo place-ness’. People with dementia are often left in a limbo where they are unable to connect the lapsed memory of the past with the present institutional living in modern healthcare. 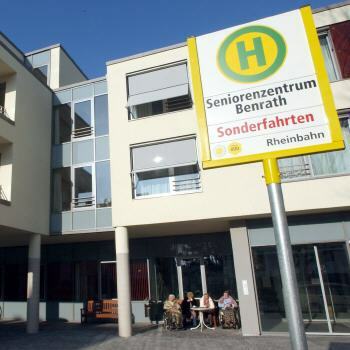 Benrath Senior Center in Düsseldorf, Germany has been dealing with the stressful issue of persuading their Alzheimer’s patients who become disoriented and run away by placing a placebo bus stop in front of the road. It’s probably needless to mention that even the most humane way of restraining a patient can still be rather traumatic. The phantom bus shelter becomes a place where the patient waits for the non-existent bus. The waiting time allows them to forget to run away, according to Radiolab: The Bus Stop. The world of kitsch becomes useful as comforts for a confused memory. People are encouraged to feel like they are continuing with their lives. 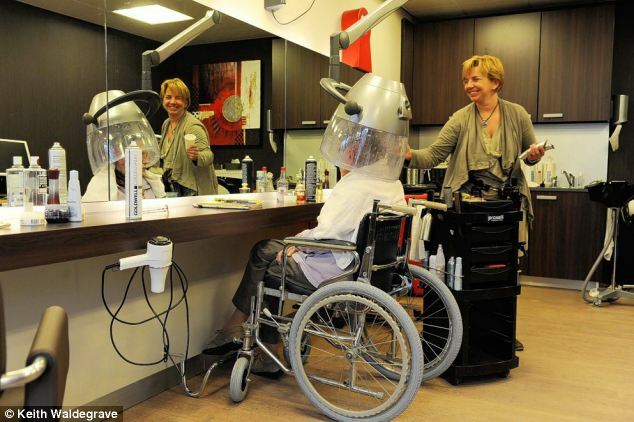 These care homes have even been moving from being hospitals for ‘treating illness’ to homes for ‘treating people’. However, the moral arguments about ‘fooling’ Alzheimer’s patients rests at our levels of comfort at we be double bluffing a dysfunctional memory.